This group offers two meetings a month, one weekday evening and one Saturday morning to discuss a book which is chosen to enrich our spiritual life. 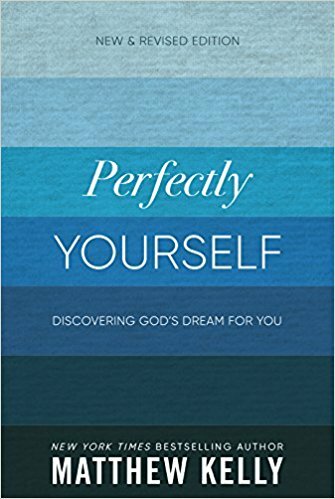 Our current selection is “Perfectly Yourself” by Matthew Kelly. We will focus on this book from January thru May of 2018. In Fall, we will focus on another book. Anyone is welcome to contact Shawn Witmer for copies of the current book, and to confirm meeting dates, times and chapters we will be discussing.